Disadvantage of living in Canada: rough weather. Often. Especially if you bike to work. Anyway, we can solve this the way most sartorial problems can be solved: with technology. 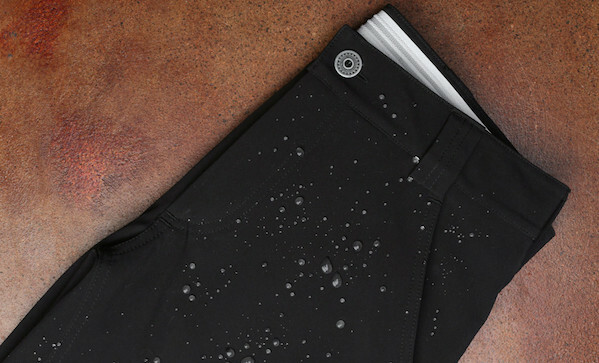 These 3-Season Dispatch Rider Weatherproof Trousers ($189) are waterproof, wicked, have deep pockets, scotch guard, non-slip waistband, and something called “Gull Winged Gusseted Crotch”. We’re not sure what that is, but it sounds like extra crotch protection, of which we’re always in favour.